INDIA - The Indian government and district administrations have failed to adequately communicate with the general public during the country’s killer heatwave, according to some of the country’s top PR practitioners. The death toll since mid-April is now almost 2,200 with the majority of the fatalities occurring in the worst-hit states of Telangana and Andhra Pradesh, where temperatures during the day are between 45°C and 47°C. However, Adfactors PR managing director Madan Bahal said the actual figure could be much higher, with deaths classified under conditions like diarrhea and dehydration, and not the heatwave itself. From a PR perspective, he said the government and district administrations had failed to effectively communicate with the public: "One could say the efforts were too little, too late. Weather systems can predict heat waves in advance and thus the government response was neither timely nor adequate," he told PRWeek. 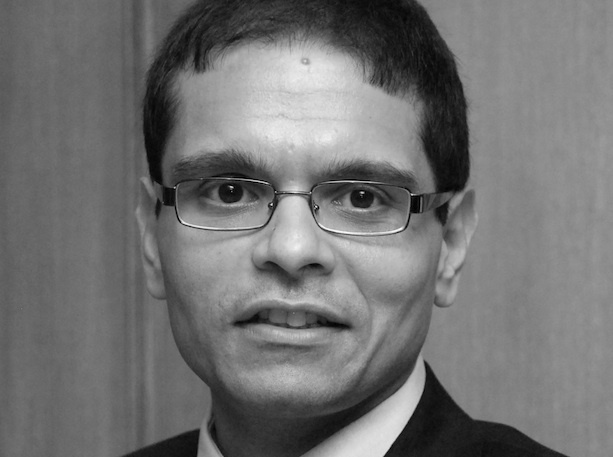 Integral PR chairman Sharif Rangnekar, pictured below, also criticized the lack of advanced warnings and basic health advice. He said: "I am given to understand that advance data itself, if even available, is not considered important to respond to. As a result, there are no precautionary measures taken. 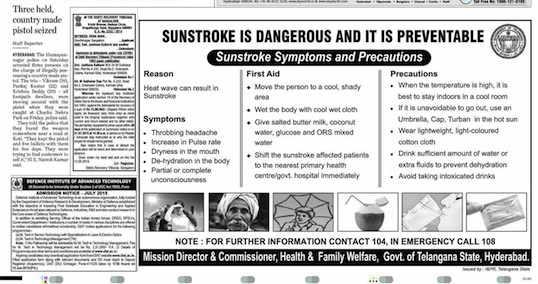 There are no advertisements or regular information flowing through radio or other means to keep people informed on some basic steps one needs to take to avoid heat strokes which can be fatal." Where the state governments have acted in Andhra Pradesh and Odhisha, they have produced media adverts and pamphlets for media outreach programmes, Adfactors’ Bahal said. However, he added: "The normally sensitive and communicative Modi government at the centre has shown a remarkable apathy to the problem." "It seems the whole Modi administration is busy celebrating and communicating the achievements and successes of their first year in government. Apart from issuing an advisory, the central government seems to have done precious little to mobilize the state Governments and district administrations to deal with the issue." He acknowledged that it was not easy to communicate with those at greatest risk, many of whom are daily-wage workers who must work in the fields or streets everyday despite the need to stay indoors in heatwave conditions. "The media access in these communities is also relatively poor, with some either illiterate or unable to afford a newspaper," he added. 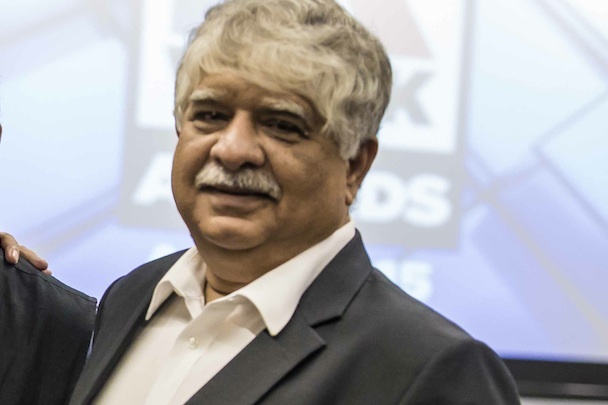 Integral’s Rangnekar added that Indians tended to read or see TV weather forecasts and take their own steps to adapt to the situation: "We don't depend on a government to either inform us or step in to assist," he said. However, he insisted that was not an excuse for government inaction: "There was almost no communication from the government either in advance or after. The response has been reactionary and not proactive. One must admit, it is a huge task to take care of the homeless who are the greatest risk, but that's an excuse not to do what it should. "I don't understand why the government can't issue more notices through advertisements in print and TV, radio or direct engagement, stating a few steps that every individual must take during or on the onset of a heat wave." Bahal at Adfactors also said the corporate sector had failed to play its part in communicating the heatwave dangers with the public. "India has a rich tradition of businesses doing CSR," Bahal said. "Last year the government of India passed a law that requires companies to spend two percent of their profit on CSR activities. The Indian corporate sector should have seized the opportunity to mobilize assistance to the affected like they did in Nepal or previous natural calamities. While any business could have helped, it was a specific opportunity for businesses operating in the affected states or for those who have products and services that provide relief from heat." A third senior industry insider, who asked not to be named, said there was a significant difference between the international and domestic perceptions of the heatwave. "The question is, is this really a PR disaster for India, for India’s central and state governments? Internationally, the narrative is clear: it’s a ‘deadly heat wave’, ‘exceptional’, ‘one of the worst in history’. These are extenuating circumstances, then. Domestically, however, it's business as usual," said the source. This is due to several factors, but notably rising apathy of the non-poor toward the poor, greater access to air-conditioned facilities and refrigerated water for the middle classes and the fact that heatwaves have never caused enough outrage in the country to prompt governments into considering it a calamity or an emergency, the source said. "Newspaper coverage of such deaths is staccato and bulleted, dismissed as a single-column and two paragraphs. When summer arrives, mortalities from heat are expected. For 80 percent of Indians who live on less than a dollar a day, buying an umbrella is an impossibility," added the source. "Flowing from the lack of political will to engage with a social need, the governments lack an incentive to invest in creating and subsidizing a supply chain that would enable hundreds of millions of poor Indians to better prepare against the killer heat, because there would be not be any profits to be made. "Simply then, doubling down against the killer heat would not bring any social, political or economic dividend for any political party that is in government. The government need only wait until the rains arrive to put the heat deaths behind—until, of course, the next summer."